Dillon’s Dead-Heat Breakers is a post-apocalyptic game that takes three genres (tower defense, action, and racing) and mashes them together for a fun and different experience. You play through the game switching between two characters who become friends after an encounter with the protagonists of the game, the Grocks: “The Red Flash” Dillon, and an animal version of your Mii. You control Dillon anytime you partake in a battle or race, and play as your Mii when you run around the city, performodd jobs for cash, or recruit gunners for battle. The game begins as your Mii transforms into one of twelve different animals, and flees from their town in a big rig while it’s under attack by Grocks. Dillon and his trusty sidekick Russ stumble upon the big rig being chased by these monster rock car hybrids, and come to the rescue. The intro to the game was quite nice, as it allowed you to get a feel for the controls for the racing/action aspect of the game. Once you defeat all the Grocks; Russ, Dillon, and your Mii team up and head to a local city to figure out a way to defeat the Grocks and stop them from terrorizing adjacent towns. The city is the central hub of the game and serves as the home base for the trio. While in the city, your Mii is tasked with raising money to purchase items and most importantly hire gunners to help you fight the Grocks. The gunners and many other NPCs are made up of randomized Miiand animal combinations sourced from Miis you have met through streetpass, or ones that you have created. This became a nice treat as I was able to recruit many strange and weird teammates ranging from a Spongebob-faced rabbit, to a Darth Vader-looking duck. The gunners are split up into three categories: short, medium, and long range, all depending on the type of weapon the character uses. The stronger the weapon, the more money the character costs to recruit. As you play through battles, you can even ask a recruit to stay on for your next battle; you still have to hire and pay the character, but they won’t disappear if all new recruits generate. Now, you can’t hire any recruits or buy items if you don’t have money. You can earn money in three ways: through battles, racing, or by doing odd jobs around the city. The odd jobs around the city consist of sorting trash at the recycling plant, playing a shooting simulator at the arcade, or picking up a shift at the local grocery store. Each of these bring some fun to the game, but I was surprised at how enjoyable the grocery store was. This quick shop simulator has you take over the store for the day, and gives you the option to pick what items will be for sale. This was a relaxing change of pace from the frantic battle system, and let me take pride in my item selection when the store would sell out for the day. The battles or calls to save a town from Grocks are where the core fun of the game lies. The battles take place in three sequences that stay consistent throughout the game. The first sequence has you setting up your gunners at different towers to fortify your defenses. During this sequence, you can run around the various maps and collect ore for reinforcing barriers, charge the tower’s batteries to give your gunners ammunition, find and add scrogs (the animals hiding inside the towers), or search for hidden storage units that contain hidden treasures or a heart container to up your life. The second sequence starts the battle phase where Grocks come crashing down to random locations to break into forts and steal your scrogs. Depending on how you set your gunners up, this stage can be a little or a lot of work for you. If your gunners can’t take the Grocks out, you can engage the Grocks as Dillon. This brings you to a quick battle screen where you control Dillon as you propel yourself at different variations of Grocks, attempting to take them out and collect their materials. The final sequence is a racing type battle where the Grocks are transformed into rock monster car hybrids and drive around the road of the map. You must catch up and smash into them to take them out before the time limit expires to win the battle. Each battle was a good amount of fun, but after a while they started to feel repetitive. The game does a good job at varying the landscapes on each level, bringing in different obstacles and enemies to change things up. When I took a step back and looked at the battle sequence, I realized many things I did weren’t really that important. Spending time to collect items becomes tedious with no real advantage to the game. As long as I spent enough money to fill up on gunners and ran around the map fighting Grocks, then my defenses were fine. The game is also more fun if you are engaged in the battle rather than kicking back and letting your gunners do all the work. The racing aspect to the game was more of a time trial than a race. When you race for money, you always have to beat the top time while no one else is on the track racing against you. For a game that highlights its races, this made me believe that there would be more head to head action, rather than trying to beat my time in three laps. The story in Dillon’s Dead-Heat Breakers didn’t really do much for me. I have never played the two previous installments, but during my time with this game, I never felt like I had to. This installment feels like its own game, and that’s fine. My main complaint with this game however, is how long and drawn out all the cutscenes and transitions were. I stopped caring what characters were saying after having to sit through a couple minutes of what felt like a pointless cutscene. On top of that, it felt like whenever I did anything or whenever time would change from night to day, I would be brought to a meaningless transition. The upside to this was after you see the transition once, you are able to skip it as the game continues. Overall, I really enjoyed Dillon’s Dead-Heat Breakers. I have never been a big tower defense guy, but the combination of all the genres mixed together really gave me a memorable experience. This game is a 3DS exclusive and, in my understanding, the last in the series. 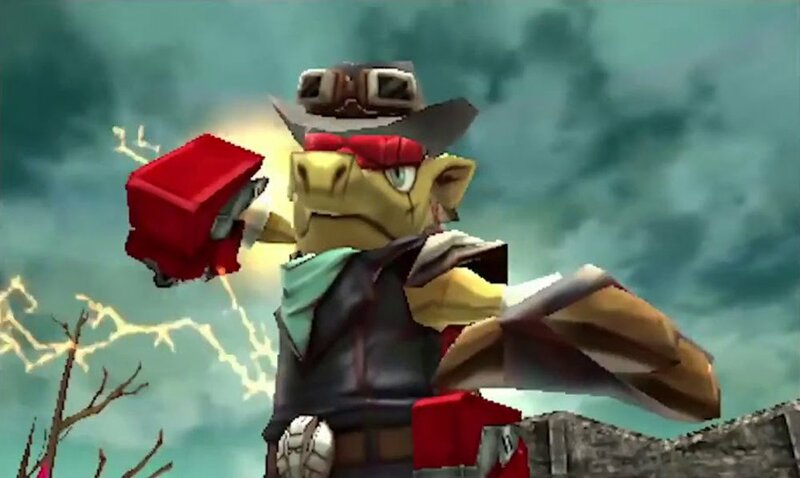 It’s not hard to believe that there is a big fan base around the Dillon series, and I wouldn’t be surprised if we saw this armadillo cowboy make another appearance sometime soon (I.e. as a fighter in the new Super Smash Bros.). For $40 on the 3DS eshop, there is a quality game here for those who still play their 3DS and want an enjoyable gaming experience. Dillon’s Dead-Heat Breakers brings a quality and enjoyable tower defense style game in its third installment in the series. Although the story and cutscenes tend to drag, the overall gameplay is great fun. Even if you’ve never played a game in the Dillon series, I recommend giving this a try.